I’ve spent a lot of time reading kids’ nonfiction over the last few years. Partly because I enjoy it (and so do my boys) and partly for research purposes as I began thinking about writing my first book aimed at children. Over and over, writer/editor Hadley Dyer’s name came up. Her book, Watch This Space: Designing, Defending and Sharing Public Spaces, with illustrator Marc Ngui, is a brilliant look at the importance of public space and how kids can be advocates for it. She’s also written some 13 other books and is executive editor of children’s books at HarperCollins, with authors like Dennis Lee, Kenneth Oppel and Michael Redhill in her stable. Now, in between her full-time work as an editor, Hadley’s managed to write a new book for young readers, this one about urban agriculture. 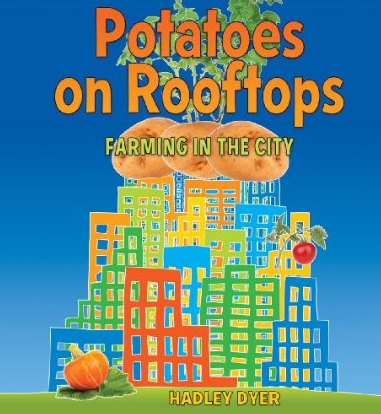 Potatoes on Rooftops: Farming in the City is a fun and informative trip through the world of growing food in urban areas. From spaceship-shaped greenhouses to aquarium aquaponics, from growing strawberries in old shoes to raising chickens in backyards, the book is full of interesting facts, helpful how-tos (composting, creating a teaching garden) and lots of food for thought. What’s for Lunch? 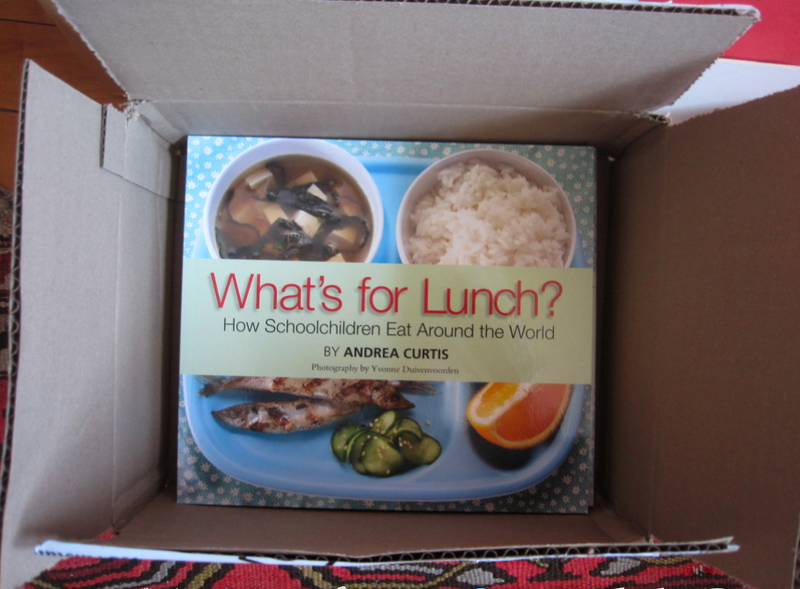 How Schoolchildren Eat Around the World is finally out! It’s been a long process and I couldn’t be happier to see the book in people’s hands. I’ve had a great response already from kids and parents, educators and food activists. It’s a thrill, especially, to see young people picking it up and talking about what’s for lunch and how they can shape the food system. I’ll be launching the book officially in September with a party and lots of fun stuff. Watch here for details. In the meantime, here are a few links and highlights of the coverage so far. The always awesome radio host and food fighter Matt Galloway had me on Metro Morning to talk about What’s for Lunch? just before school begins in Toronto next week. Check out the podcast here. Tagged as Canada, Cooking with kids, eating with kids, kids books about food, School lunch, school lunch around the world, What's for Lunch? It’s always an exciting day when the postie brings a package, but receiving this box of the first copies of What’s for Lunch? was especially thrilling. It looks amazing, with Yvonne Duivenvoorden’s photos and Sophie Casson’s illustrations making the pages sing. Watch here for details about where I’ll be talking about lunch and what kids are saying. Comments Off on In (some) stores now! 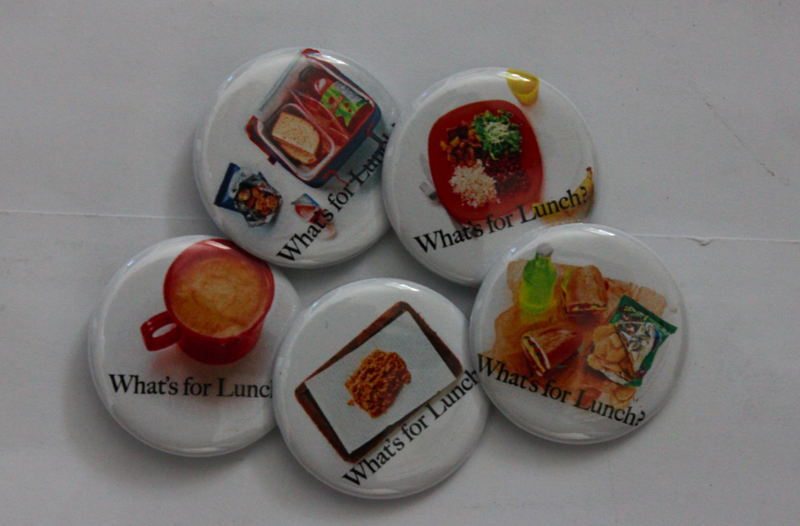 Tagged as Canada, eating with kids, Kenya, kids books about food, midday meal scheme, school dinner, School gardens, School lunch, school lunch around the world, school lunch in England, school lunch in Japan, school lunch in USA, What's for Lunch? We’re working on building our school’s food and gardening library as a resource for kids and teachers. 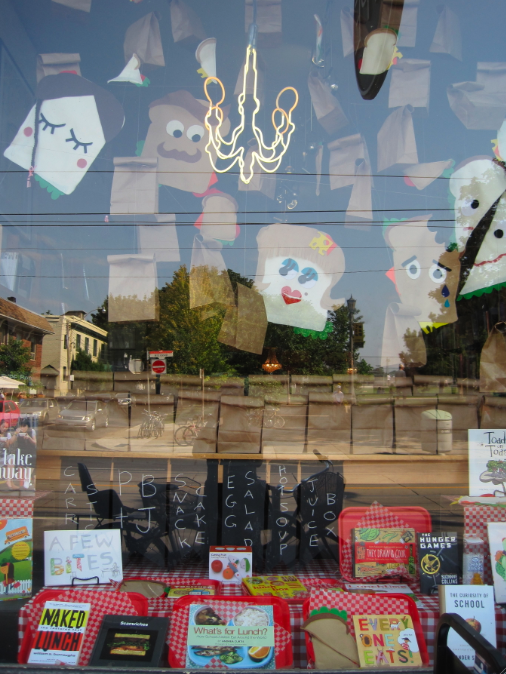 There are tons of great books out there—picture books and nonfiction (see some of my book suggestions here). But one book that is a must-have is Kids in the Garden: Growing Plants for Food and Fun. Filled with great project ideas (making a bird feeder and a “bee-pot”), kid-friendly recipes (rhubarb sundaes, strawberry trifle) and simple explanations about compost, growing healthy plants, watering, germination and the carbon cycle, it’s easy to read and use—for both kids and adults. Before I started my own veggie patch, I was intimidated by all the gardening knowledge and books out there—as if I’d have to take a graduate-level course to grow a tomato plant. I’ve since discovered that many other adults feel the same way—and it’s a major barrier to getting started at school or at home. But, of course, growing food is a process like any other. You read a bit, talk a bit, learn a bit and make lots of mistakes. It’s books like this one (aimed at kids but perfect for first-time gardeners of any age) that can help all of us feel less intimidated—and in the process become active participants in taking charge of our food system. Tagged as kids books about food, School gardens, urban garden, What's for Lunch?